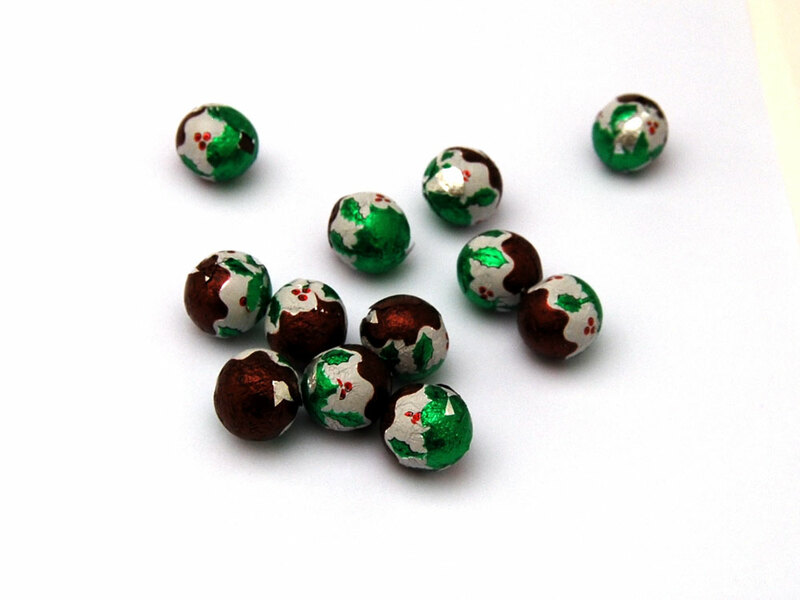 Foil wrapped milk chocolate christmas pudding balls. 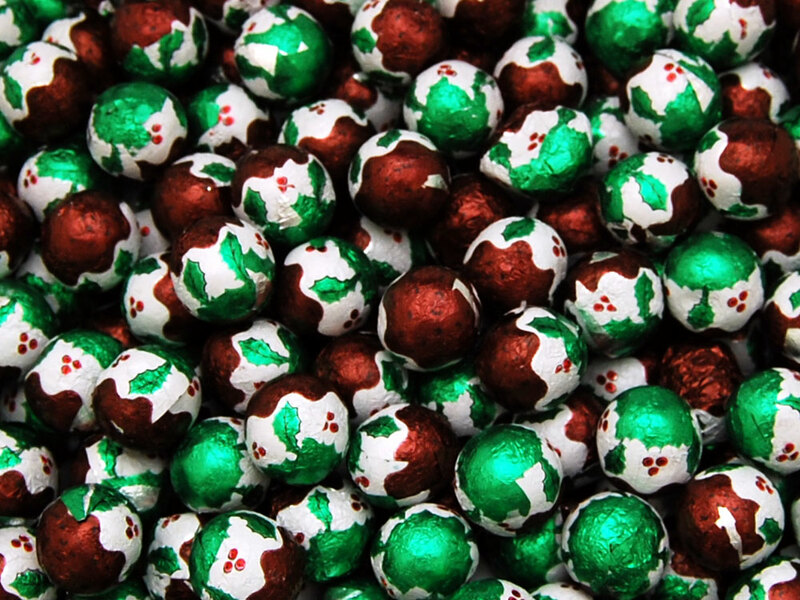 Delicious milk chocolate balls wrapped in christmas themed foil. These milk chocolate christmas puddings make great stocking fillers or treats for kids and guests. Milk Chocolate (100%), Sugar, Cocoa Butter, Skimmed Milk Powder, Cocoa Mass, Whey Powder (Milk), Lactose (Milk), Milk Fat, Emulsifier (Soya Lecithin), Natural Flavouring. Milk Chocolate Contains Milk Solids (25%) minimum, Cocoa solids (14%) Minimum. Allergen Advice: Highlighted Bold in Ingredients list. Product Includes Soya and Milk Derivatives. Made In A Factory That Handles Nuts. Product Includes Soya and Milk Derivatives. Not suitable for nut and peanut allergy sufferers due to manufacturing methods.